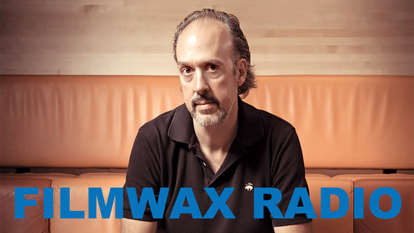 Filmwax Radio NYFF55 Edition! Director of the New York Film Festival, Kent Jones, is back on the podcast for his 3rd visit (for more Kent Jones wax see Episodes 240 & 324). Kent talks about this year’s festival but also about his work as a filmmaker including a new movie, his first narrative, due out soon. Additionally, we talk about his years growing up in the Berkshires, Robert Mitchum, Woody Allen, Scorsese, and so much more. The Festival runs from September 28th through October 15th with scads of new features and short films from around the globe, restored films, a Robert Mitchum retrospective, experimental work, filmmaker talks, and more. Visit fillinc.org/nyff for tickets and further details. First up [6 mins. 30 secs.] on Episode 430, real estate developer turned film distributor & exhibitor, Charles Cohen discusses his career and various projects for which he either serves as producer or distributor. 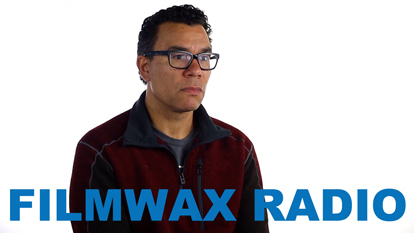 In addition to the work he does with Cohen Media Group, we also discuss the new Quad Cinema and what is coming in the pipeline. After that [28 mins. 48 secs.] filmmaker Lana Wilson (After Tiller) returns for her third visit to the podcast. After collaborating on her last feature, Wilson goes it alone with her new documentary, The Departure. The film, which had its festival premiere at Tribeca Film Festival, follows the story of Nemoto, a former punk-turned-Buddhist-priest in Japan, who has made a career out of helping suicidal people find reasons to live. But this work has come increasingly at the cost of his own family and health, as he refuses to draw lines between his patients and himself. The film will have a theatrical engagement at the Metrograph in NYC beginning on Friday, October 13th, and then an engagement at the Laemmle Monica in L.A. before going wide. Lastly, [51 mins. 35 secs.] actor turned filmmaker John Carroll Lynch (American Horror Story, Fargo) discusses his directorial debut with the dramedy, Lucky. The film, which is being distributed by Magnolia Pictures, stars the recently deceased Harry Dean Stanton as 90 year old Lucky who has been a life long atheist but now finds himself on a spiritual journey which includes the quirky characters that inhabit his off the map desert town. It’s an appropriate and loving swan song for one of America’s great actors. [7 mins.] In the first segment of Episode 429, filmmaker Pete Nicks (The Waiting Room) finally appears on the podcast! Pete discusses his new documentary, The Force, which opens in theaters on Friday, September 22nd. The film, which won him Best Director, U.S. Documentary at Sundance this year is the 2nd in his Oakland Trilogy, goes deep inside the embattled Oakland Police Department as it struggles to confront federal demands for reform, the rise of Black Lives Matter and an explosive scandal. [44 mins. 30 secs.] Up next, a roundtable conversation with two of my favorite documentary filmmakers returning to the show, Doug Block (51 Birch Street) and Michael Rossato-Bennett (Alive Inside). We discuss making personal documentaries and what it takes to launch a crowdsourced fundraising campaign. Beside making personal documentary films that end up on HBO, Block also founded the popular documentary filmmaker resource, The D-Word. And in addition to making films, Rossato-Bennett, has founded the Alive Inside Foundation whose mission it is to bring youth together with elders living at home with Alzheimer’s. Both men reside in Manhattan. In the first segment of this episode [4 mins. 15 secs.] filmmaker Marina Willer discusses her first documentary feature, Red Trees, where she traces the journey of her father’s family, survivors of the Nazi occupation of Prague during World War II. The film, which is being distribute by Cohen Media Group, opens on Friday, September 15th at the Quad Cinema & Lincoln Plaza Cinema in New York City. Next up, [34 mins. 20 secs.] 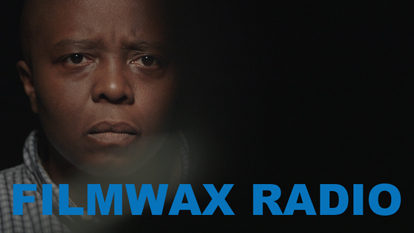 filmmaker Yance Ford with her devastating personal documentary, Strong Island. The film chronicles the arc of a family across history, geography and tragedy – from the racial segregation of the Jim Crow South to the promise of New York City; from the presumed safety of middle class suburbs, to the maelstrom of an unexpected, violent death. It is the story of the Ford family: Barbara Dunmore, William Ford and their three children and how their lives were shaped by the enduring shadow of race in America. Strong Island will have a theatrical run at the IFC Center and premiere on Netflix on Friday, September 15th. 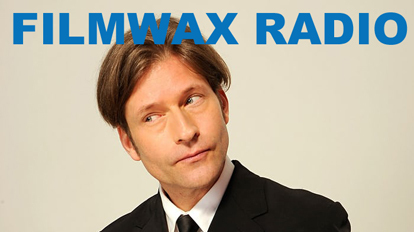 Filmwax Radio Episode 427 brings back two friends to the podcast. The first, Ramona Diaz (Imelda, Don’t Stop Believin’: Everyman’s Journey), is back with a new documentary about the world’s busiest maternity ward called Motherland. The film also takes us into one of the world’s poorest and most populous countries: the Philippines. The film’s viewer, like an unseen outsider dropped unobtrusively into the hospital’s stream of activity, passes through hallways, enters rooms and listens in on conversations. At first, the surrounding people are strangers. But as the film continues, it’s absorbingly intimate, rendering the women at the heart of the story increasingly familiar. Motherland, which premiered at Sundance, is currently screening at Cinema Village in New York City and opens at the Laemmle Monica Center on September 22nd before going wider. A POV broadcast is also scheduled for later this fall. 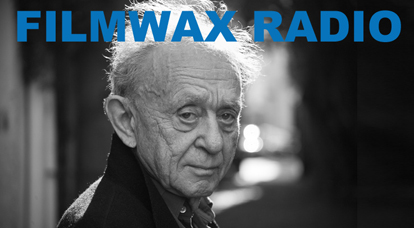 Up next, Frederick Wiseman (Titicut Follies, High School) returns to discuss his latest documentary Ex Libris: The New York Public Library. With this film, Wiseman turns his incisive vision behind the scenes of one of the world’s greatest institutions of learning, capturing the vast programmatic scope of NYC’s library system. The NYPL is blessed with uniformly passionate staff and deeply devoted, appreciative bibliophiles and beneficiaries across its 92 branches. The film opens at Film Forum in New York City, on Wednesday, September 13th, for a 2-week run before opening widely. Also, there’s a couple of days left of the second installment of a complete retrospective of Wiseman’s films at Film Forum. There will be a third installment some time in 2018. This episode of the podcast is sponsored by the Vermont College of Fine Arts film program. Visit vcfa.edu/film for further details. Episode 425 celebrates two new documentaries hitting theaters in New York City on Friday, September 8th. [4 mins. 10 secs.] 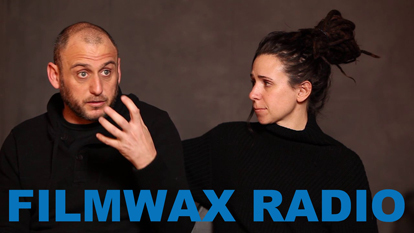 First up, the filmmaking couple Shaul Schwarz & Christina Clusiau discuss their film Trophy, an in-depth look into the powerhouse industries of big-game hunting, breeding and wildlife conservation in the U.S. and Africa. The film aims to unravel the complex consequences of treating animals as commodities. The film is being distributed by The Orchard and financed in great part by Impact Partners. [34 mins. 14 secs.] The other documentary is a gorgeous film out of Ireland called School Life (a.k.a. In Loco Parentis). Filmmaking couple Neasa Ní Chianáin & David Rane follow two inspiring teachers working at the only boarding school in Ireland for children ages 7 to 12 are followed for a year, as they begin to prepare for the end of their tenure. The film, which is being distributed by Magnolia Pictures and which also opens on Friday, September 8th, is true vérité at its finest. Music on this episode of the podcast is by Steely Dan as a tribute to the recently deceased Walter Becker. 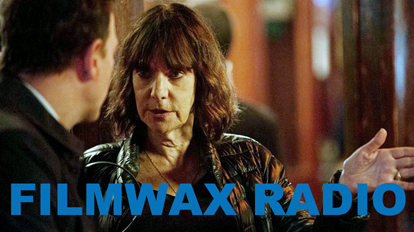 The filmmaker Bette Gordon (Variety, Handsome Harry) is the sole guest on this episode. Bette’s latest film, The Drowning, debuts on Netflix on Friday, September 1. The film stars Josh Charles as a psychologist whose testimony once sent a boy to prison for murder. Now free, the young man re-enters the doctor’s life. 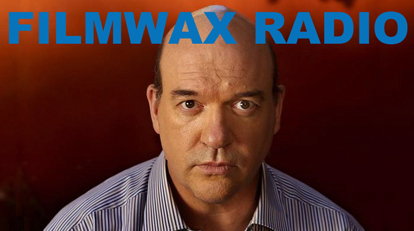 The film also stars Julia Stiles, Avant-Garde Jogia, and Filmwax Radio friend Leo Fitzpatrick. During my conversation with Gordon, we discuss her long career starting during the No Wave vanguard of the East Village 80’s right up to present time, as a filmmaker & Mom living in a lovely Tribeca loft.